In 1801 the President of the United States was Thomas Jefferson, there were only fifteen states in the union, and the Appalachian mountains were the westernmost border of the country. 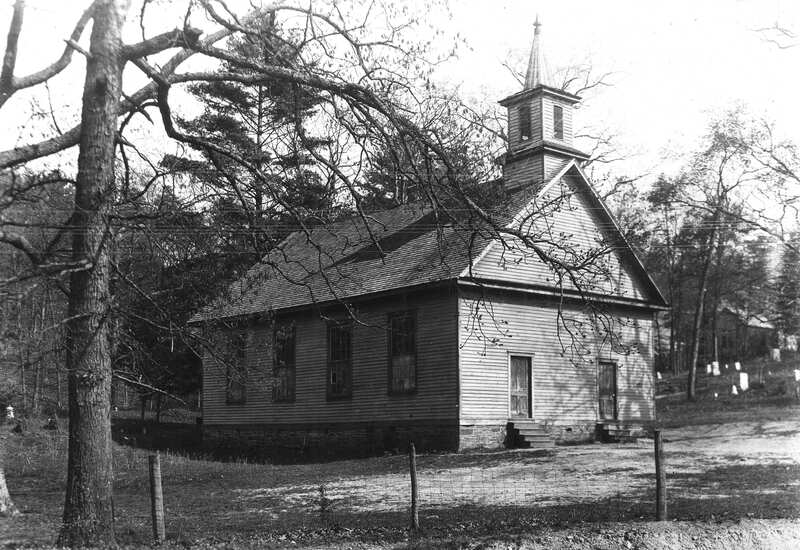 In that same year, a pioneer and veteran of the Revolutionary War named Daniel Killian hosted the first Methodist bishop in America at his log cabin in the Beaverdam Valley. 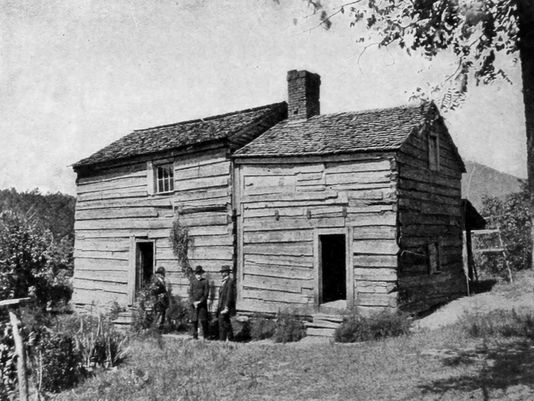 Killian would go on to build a room onto his cabin especially for the bishop, Francis Asbury, to use in his many sojourns into western NC establishing churches in the area. Bishop Asbury's journal tells us that the first service for our congregation was held outside his cabin on October 11, 1801. 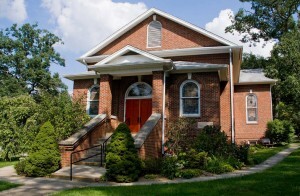 Asbury Memorial UMC sits on land that has never been bought or sold. Upon Daniel Killian's death, his descendants deeded the land to the Trustees of the church that it might be "a church and burying ground forever," which it has remained to this day. Originally a log cabin stood on the property, and then in 1879 when a timber framed sanctuary (pictured right) was built it was moved to become Grace School. The current sanctuary (pictured below) was built in 1928 and then the educational building where our preschool meets was added in 1961. We still use the original pulpit from the 1879 frame church. In October,2015 it was refurbished by Rick Morehead who added a new book rest to the top of the pulpit and a sturdy base to the bottom of it. Both of these refurbishments were made from walnut and white oak. The white oak came from two 317-year old trees that stood to the south of the sanctuary before they became diseased and had to be taken down in 2013. We are in the midst of the next chapter of our congregation as we have embarked upon a capital campaign and a building campaign to bring our grounds and facilities into our third century of ministry in the Beaverdam Valley of north Asheville. Check out our links on the website entitled "Prepare Ye the Way" for more details.